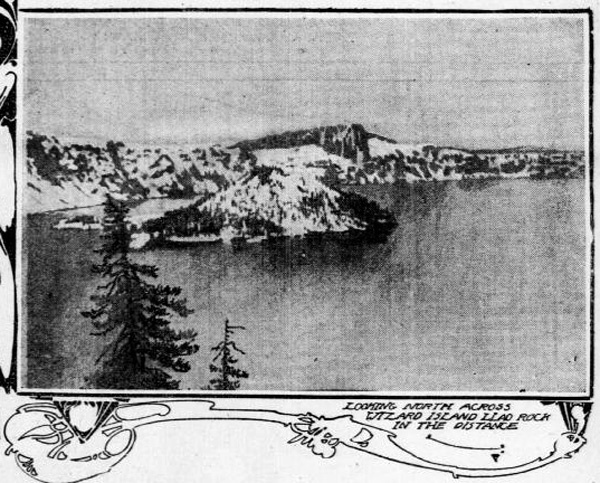 It’s officially summertime, and here at the ODNP, one of our favorite things about this glorious season in the Pacific Northwest is visiting Crater Lake without the hindrance of snow. 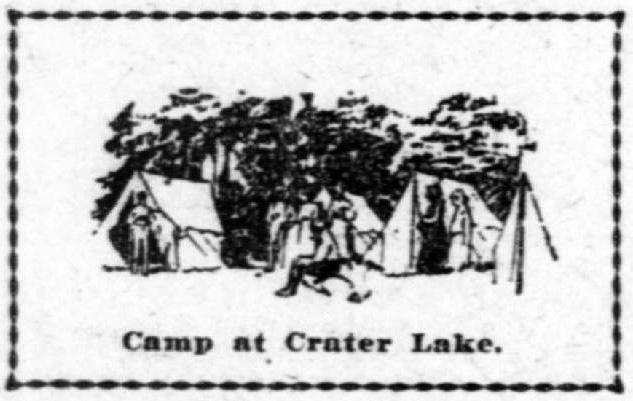 Not only do the lake and surrounding landscapes provide breathtaking views and recreational enjoyment; historic newspaper communications played a significant role in advocating for the preservation of the lake and the creation of Crater Lake National Park. High along the crest of the Cascade Mountain Range in southern Oregon, the magnificent blue lake sparkles as a symbol of both geological and cultural change. 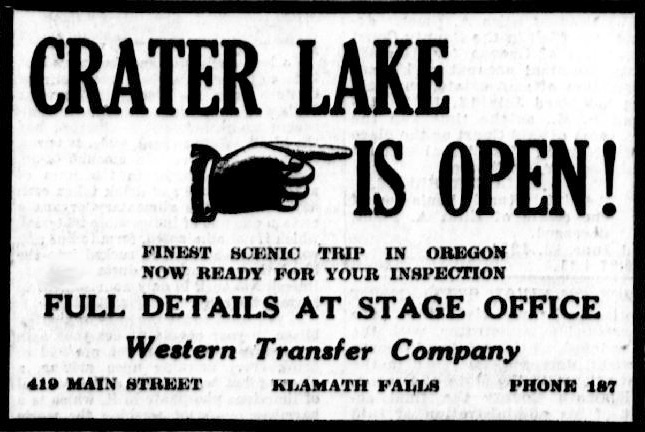 The Native American nations of the region, including the Takelma, Upper Umpqua, Molala, and the Klamath people, descendents of the Makalak Nation, have many stories about the formation and existence of the lake, all of which portray the site as a venerable place of great and often dangerous power. Crater Lake was created by an ancient volcano, now known as Mount Mazama, that once reached a soaring height of 12,000 feet, slightly taller than Mount Hood (11,240 feet) but not quite as tall as Mount Shasta (14,179 feet). Approximately 7700 years ago, Mt. 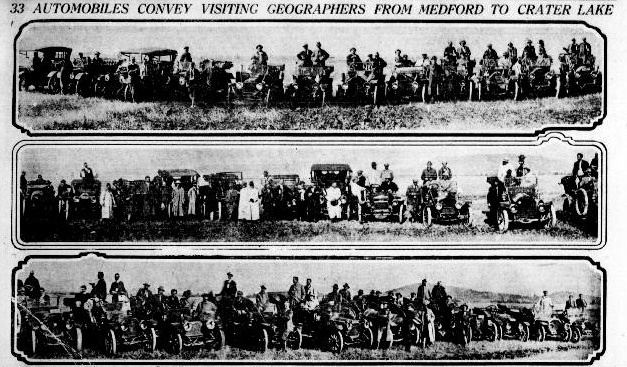 Mazama erupted violently, spreading volcanic debris all over Oregon and leaving a huge caldera where the mountain once stood. 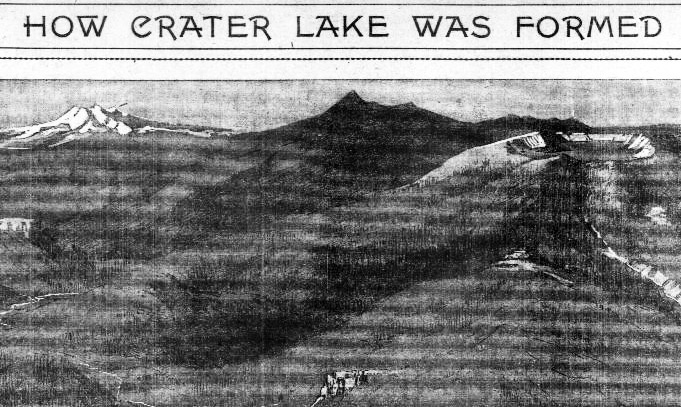 Over about 750 years, the crater filled with rainwater and snowmelt to form the deepest lake in the United States – 1943 feet deep – at about five by six miles wide. Legends indicate that Native Americans witnessed the eruption of Mt. 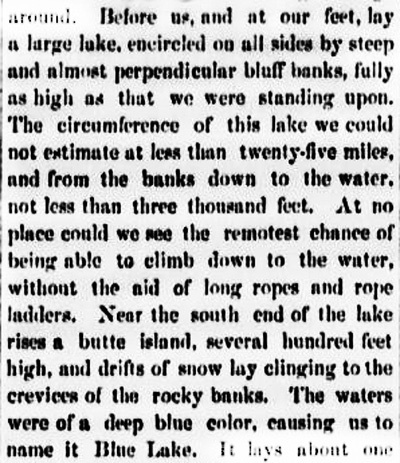 Mazama and have known about the lake ever since, but early European explorers and traders were never told about the lake because it was believed to be sacred. 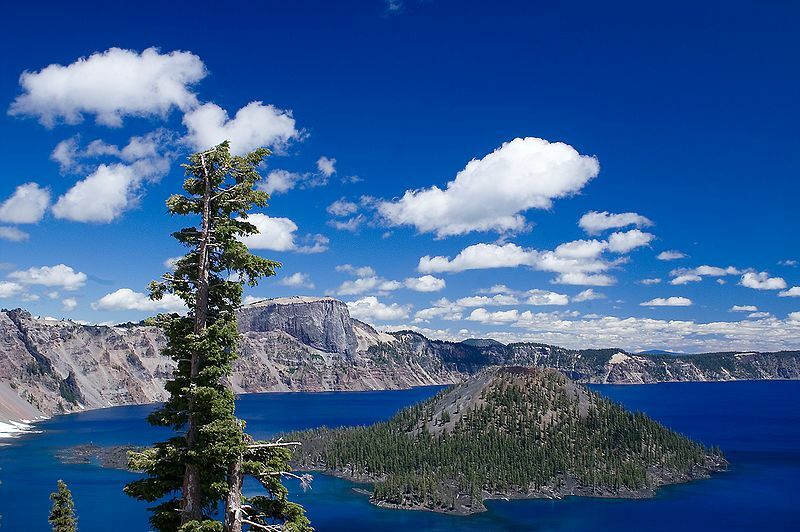 No rivers flow into or out of Crater Lake; it is completely contained, and evaporation and precipitation continually refresh the lake’s water supply, making it the cleanest water in the world. Later volcanic eruptions formed Wizard Island, the signature landmark that rests in the west side of the lake. 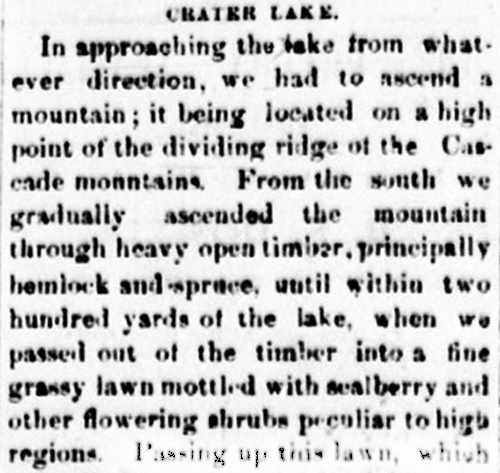 In 1870, William Gladstone Steel , a young boy living in Kansas at the time, happened to see an article about Crater Lake in the newspaper page that had been used to wrap his lunch. 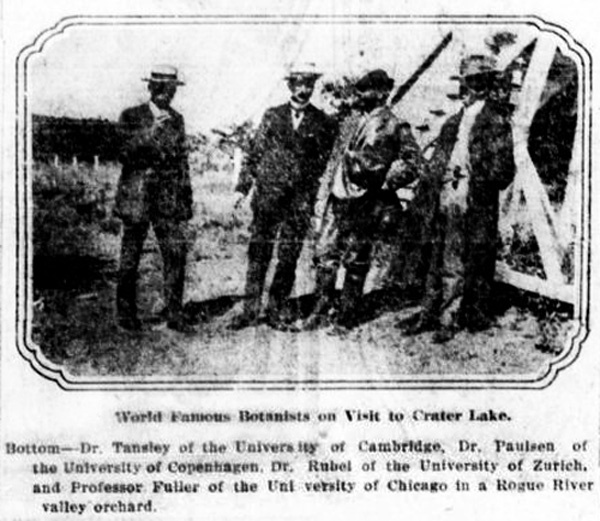 The description fascinated him, and he promised himself that he would visit the lake someday. 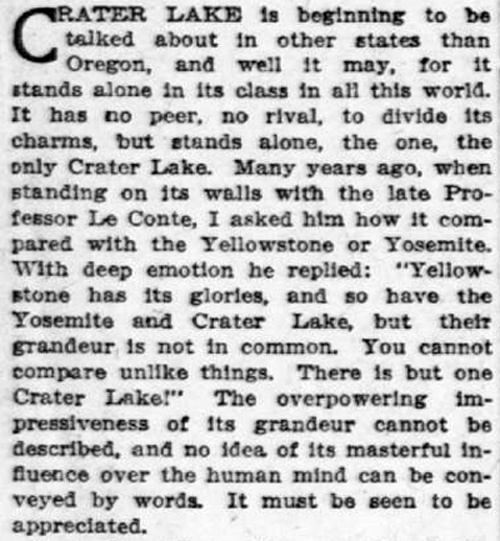 Steel and his family soon moved to Portland, Oregon, and he was finally able to visit Crater Lake 15 years after he first set eyes on the newspaper article. 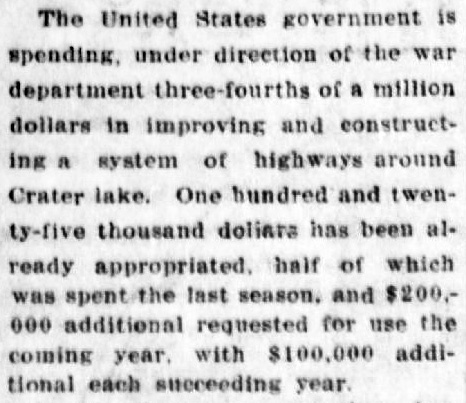 After viewing the lake for himself, his mind was made up to do whatever it took to preserve the lake as a public park. 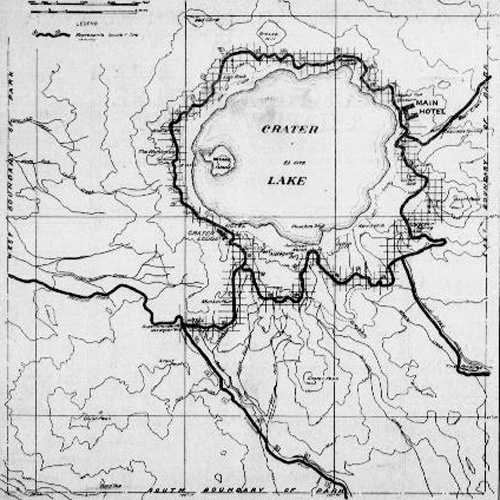 Steel was included in the first expedition to create a map of the lake in 1886, and he spent the next 16 years lobbying and rallying support for the preservation of Crater Lake. 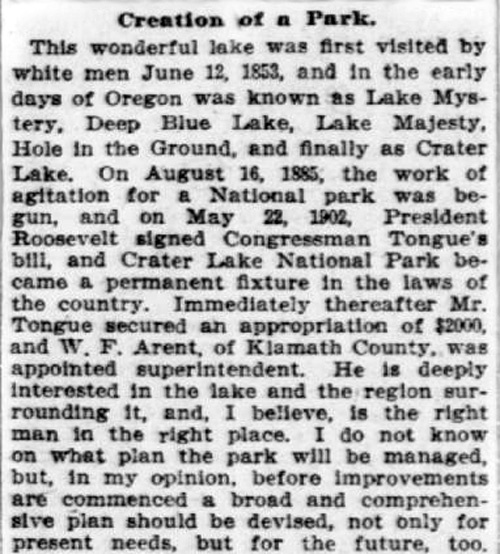 In 1893, the lake was included in the Cascade Range Forest Reserve, which offered some protection from mining and lumber interests, but Steel was not satisfied until Crater Lake was officially made into a National Park on May 22, 1902. ‹ Fortunes Forecast, Lucky Charms!